The HSA contribution limits for 2018 are $50 higher for single HDHP coverage and $150 for family HDHP coverage. 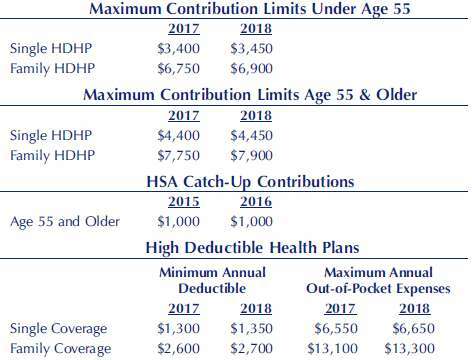 The Treasury Department and Internal Revenue Service issued new guidance on the maximum contribution levels for High Deductible Health Plans (HDHPs) that must be used in conjunction with HSAs. The 2018 limits are set forth in Revenue Procedure 2017-37.